Cool canvas kicks will remind you of the fun fashions you wore on your feet as a teenager. 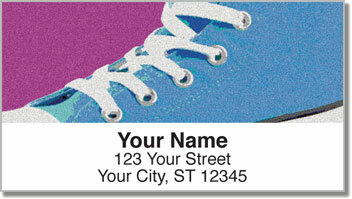 You loved lacing up your colorful Chuck Taylor All Stars because they made you feel like an individual. Let the working stiffs wear their shiny black shoes. You're all about attitude, style and of course...comfort! 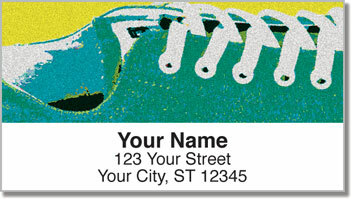 Retro Shoes Address Labels are as unique as you are! Even if you're all grown up and have to wear serious shoes, this design lets you have a little fun on the side. Self-adhesive labels make the mundane task of preparing outgoing mail extra easy! 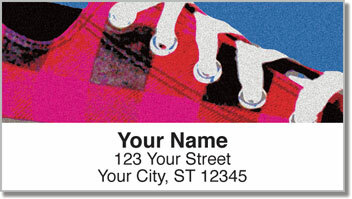 Plus, you can also use them to mark all sorts of personal property as your own. 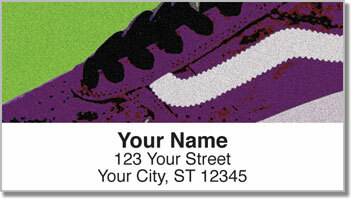 Get Retro Shoes Address labels right now! Add matching personal checks to make your order complete.